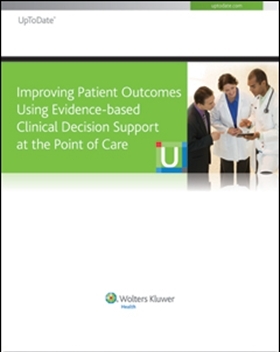 Although practicing evidence-based medicine (EBM) at the point of care is challenging, pre-appraised Clinical Decision Support (CDS) resources enable healthcare providers to easily use the best available evidence to drive improved patient outcomes. CDS resources are well-liked by clinicians, and compared with other Health IT investments are relatively inexpensive and easy to implement. They also offer a range of benefits for the hospital, clinician and patient.